Obituary for Gloria J. 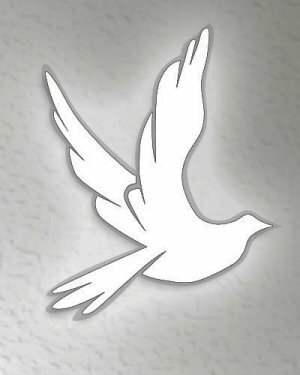 Hall | Kenworthy Funeral Home, Inc.
Gloria Jean Hall, 74, of Hanover, PA, entered God’s eternal care, Saturday, April 6, 2019 at her home in Hanover, PA.
Born December 7, 1944, in Hanover, PA, she was the daughter of the late George and Hilda (Pascoe) Sipling. 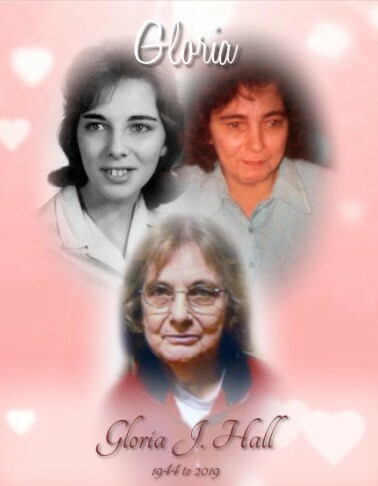 Gloria was a member of St. Vincent de Paul Catholic Church, Hanover, PA. She was a member of the AMVETS Post 22 and the Harold H. Bair Post 14 American Legion. Gloria was a homemaker. She enjoyed crossword puzzles and spending time with her friends and family. Gloria is survived by one daughter, Cynthia P. Lindsay of Hanover, PA; two grandchildren, Brittany D. Lenig and Paige M. Lindsay; four great-grandchildren, Isabella Tasker, Theo Held, Faye Held, and Cannon Cooper; one brother, Jeff Sipling; and four sisters, Doris Clapper, Linda Hess, Barb Higgins, and Johana Kepner. She was preceded in death by one daughter, Rebecca M. Baer and two brothers, Donald Sipling and Harold Sipling. A funeral service to remember Gloria’s life will be held at 11:00AM, Friday, April 12, 2019 at the Kenworthy Funeral Home, Inc., 269 Frederick Street, Hanover, PA, with Father Michael P. Reid, II officiating. Burial will be private and at the convenience of the family. A viewing and time to share memories with the family will be held from 6:00 PM – 8:00 PM, Thursday, April 11, 2019 at the funeral home.